High rates of HIV/AIDS infections and low admission rates to four-year universities in the Black and Latino communities led to the collaboration between the Black Pre-Health Organization (BPHO) and Chicanos/Latinos for Community Medicine (CCM) to create the Black Latino AIDS Project (BLAIDS). 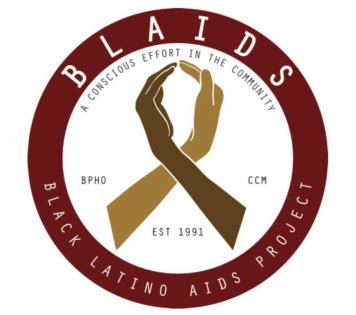 Since 1991, BLAIDS has been educating the Black and Latino communities about HIV/AIDS, sexually transmitted diseases (STDs) and the pursuit of higher education. Through presentations, discussions, distribution of condoms and pamphlets along with the locations of testing sites, BLAIDS is addressing the threat that affects these high-risk communities in the greater Los Angeles area. In addition, BLAIDS promotes access to higher education by providing materials that will guide students through the application process for universities. Although many advances have been made in the detection and treatment of HIV/AIDS, the rates of HIV/AIDS infection among these marginalized communities has failed to decrease. The high rates of HIV/AIDS infection in the Black and Latino communities have been linked to lack of knowledge of transmission, lack of protection during sexual activities and late or no testing for the virus. The recent budget cuts that have been implemented throughout the state have affected programs that provide these life-saving services to the communities that need them most. The lack of health classes in high schools and the end of state funded preventative programs is a reality that increases the risk level of individuals in these marginalized communities. The existence of educational programs like BLAIDS is fundamental in providing preventative information on HIV/AIDS and STD to these affected communities. The Black Latino AIDS project is unique in that it structures its presentations and information in a way that is culturally and linguistically appropriate for its targeted audience. BLAIDS is successful in addressing topics that are serious and commonly seen as taboo in society, while maintaining a mature yet positive outlook about the severity of these important topics. Our presentations bestow the knowledge, address and debunk the myths, and provide support and lifestyle suggestions that can ultimately lead to a change in attitude and promote safe behaviors in these affected communities. This is accomplished by creating an environment where individuals feel safe to ask any questions and voice their opinion. By educating individuals, BLAIDS is empowering the communities that are affected by HIV/AIDS and STDs.